Courtesy of Berkshire Hathaway HomeService, Liz Hansche. ****JUST REDUCED****HURRY TO SEE****This Breathtaking ‘Tropical Oasis’ is What You Have Been Waiting For!!! Magnificent Rock Pool with Cascading Waterfalls, Water Slide, Baja Entry and Large Spa Surrounded by Gorgeous Tropical and Lush Landscaping….Entertainer’s Delight with Beautiful Brand New Pocket Doors that Lead to the Gorgeous Backyard with a Phenomenal Large Outdoor Entertainer’s Kitchen with a Built-In BBQ and Large Sitting Area…Perfect for all of your Entertaining Needs! Beautifully Upgraded Throughout with Stunning Brand New Carpet, Travertine Floors, 20ft Ceiling in Living Room with Cozy Travertine Fireplace and Elegant Window Treatments Throughout! Gorgeous Gourmet Kitchen with Top of the Line Appliances, Elegant Cabinetry, Built-In Refrigerator and Brand New Exterior Paint and Much Much More!!! Situated in a Premier Cul-de-sac Location in the Prestigious Guard-Gated Neighborhood of ‘Hillcrest Estates’! Please, send me more information on this property: MLS# OC18284208 – $1,448,000 – 28661 Point Loma, Laguna Niguel, CA 92677. 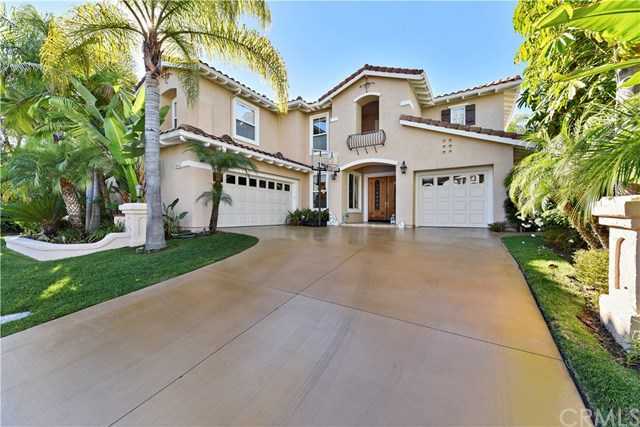 I would like to schedule a showing appointment for this property: MLS# OC18284208 – $1,448,000 – 28661 Point Loma, Laguna Niguel, CA 92677.